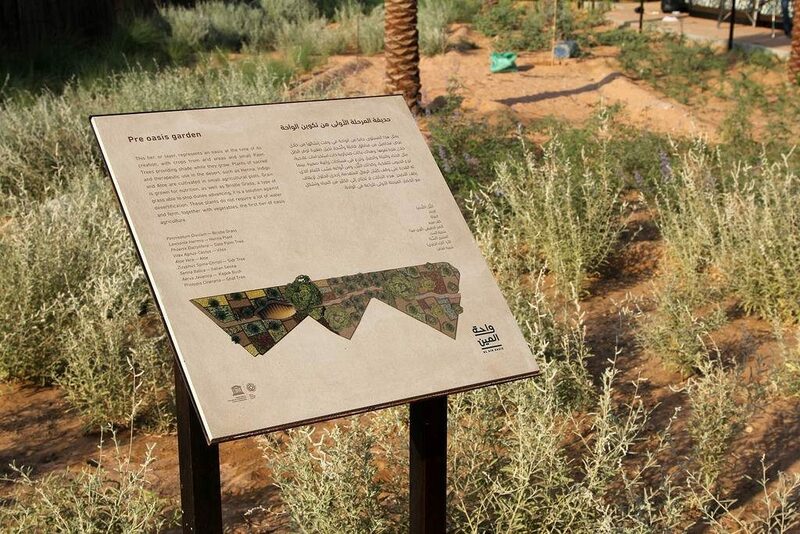 The purpose of the project is a strategic plan for the city of Al Ain. 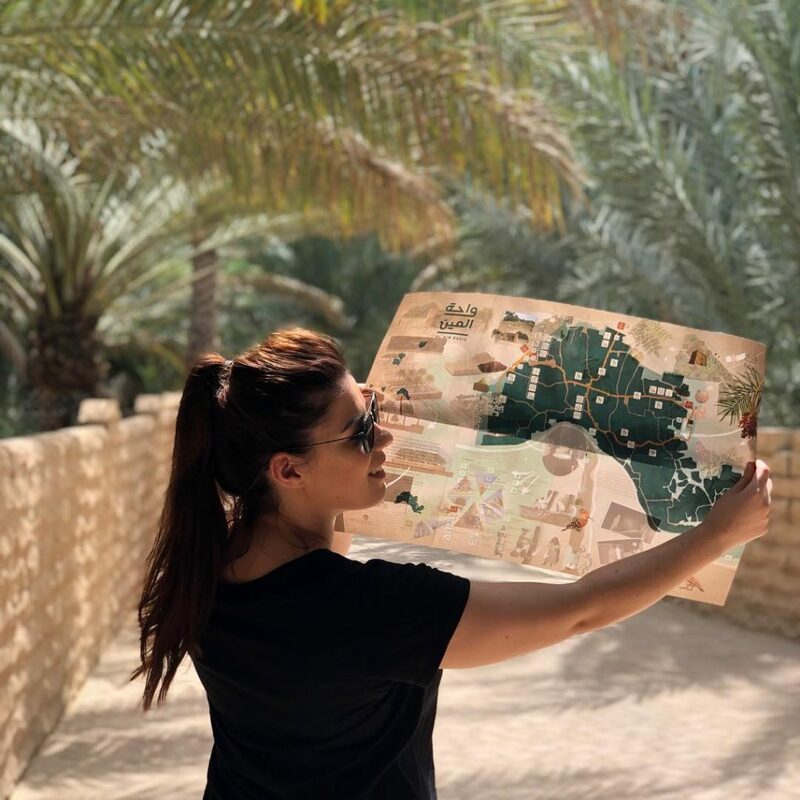 Located in the desert of Rhub Al Kali is today a metropolis that has incorporated in its growth numerous small oases enclosing ancient archaeological vestiges. The idea of the client was to make these oases of dense palm groves accessible. The project proposal instead of invading the palm groves with the city has achieved the exact opposite. The idea of the oasis, its ecological significance as a model of sustainability have become the strategic program for the whole city. 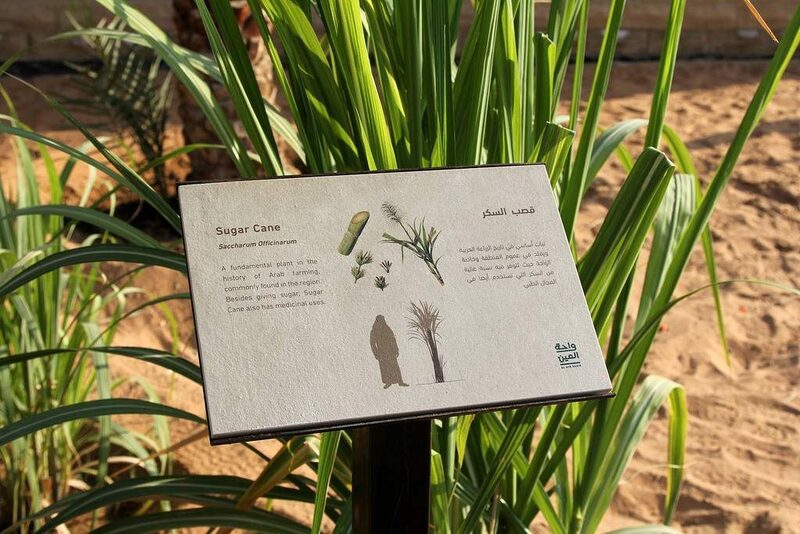 The project creates new crops that extend from the oases to the city. 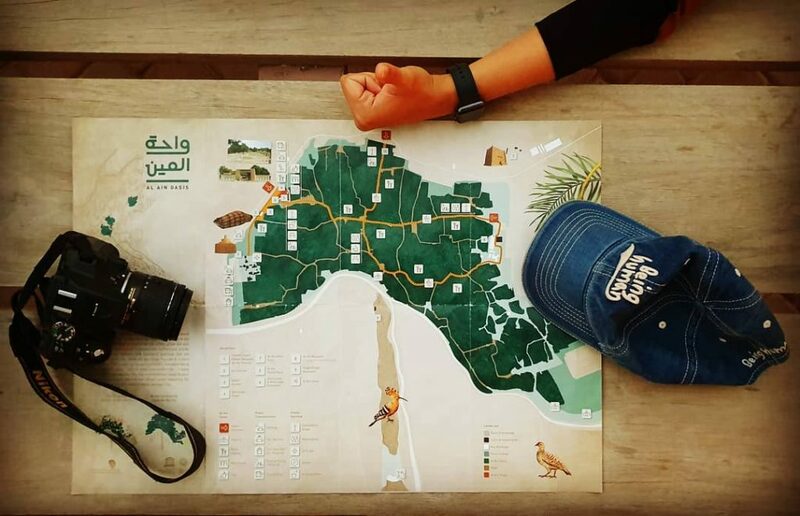 In this way an area of protection of the original palm groves is created and at the same time a moment of visit, refreshment and free time. 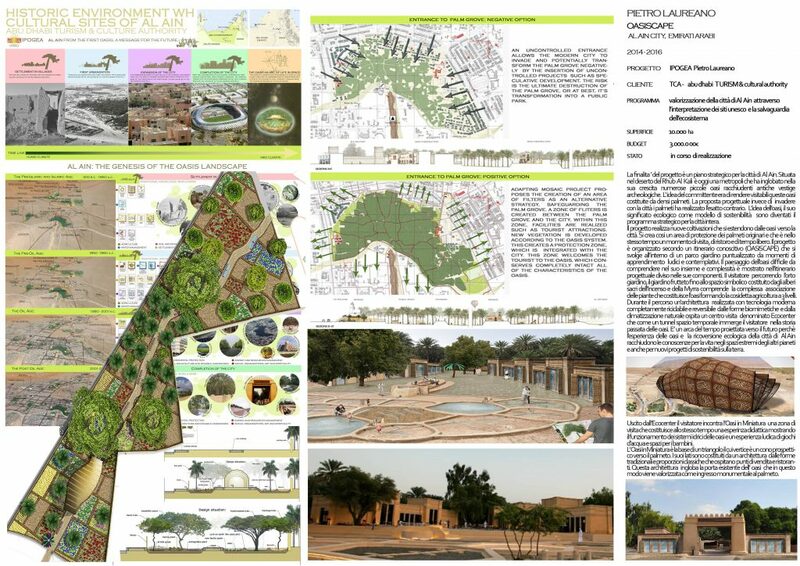 The project is organized according to a cognitive itinerary (OASISCAPE) that takes place within a garden park pointed out by playful and contemplative learning moments. 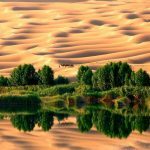 The landscape of the oasis difficult to comprehend in its entirety and complexity is shown in the project itinerary divided into its components. 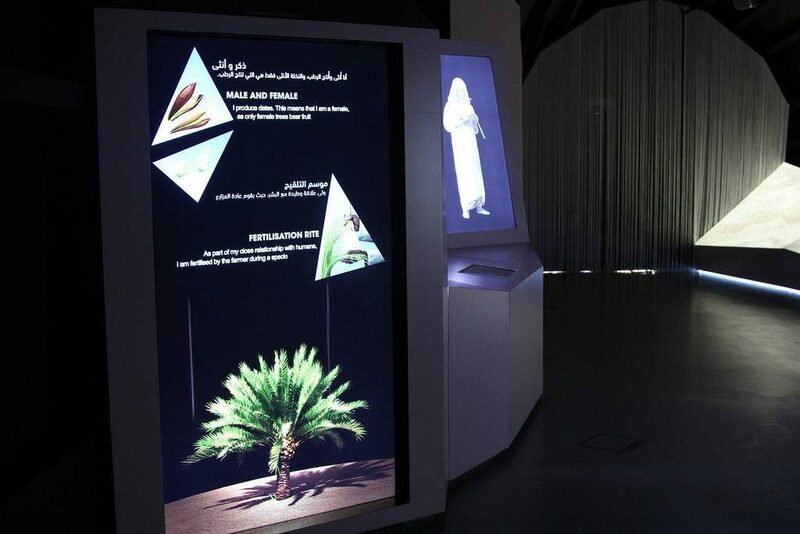 The visitor along the garden, the orchard garden up to the symbolic space formed by the sacred trees of the Incense and the Myrra includes the complex association of plants that constitutes the oasis forming the so-called 3-level agriculture. 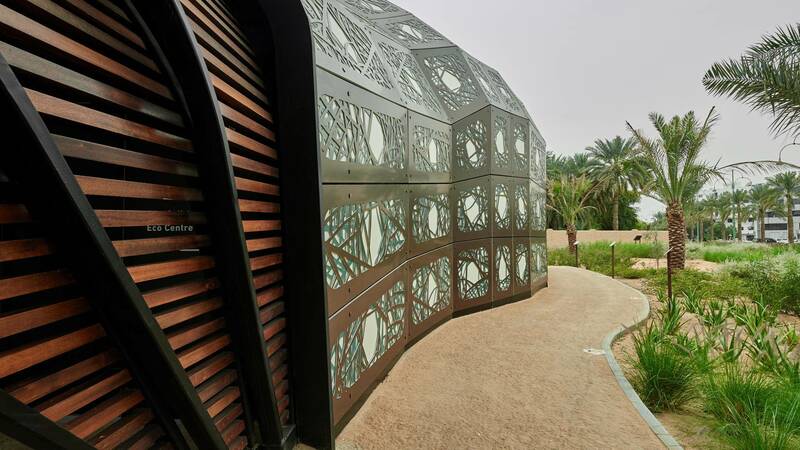 During the journey an architecture built with modern technology that is completely recyclable and reversible with biomimetic forms and natural air-conditioning houses a visitor center called Ecocenter that, like a space-time tunnel, immerses the visitor in the past history of the oases. 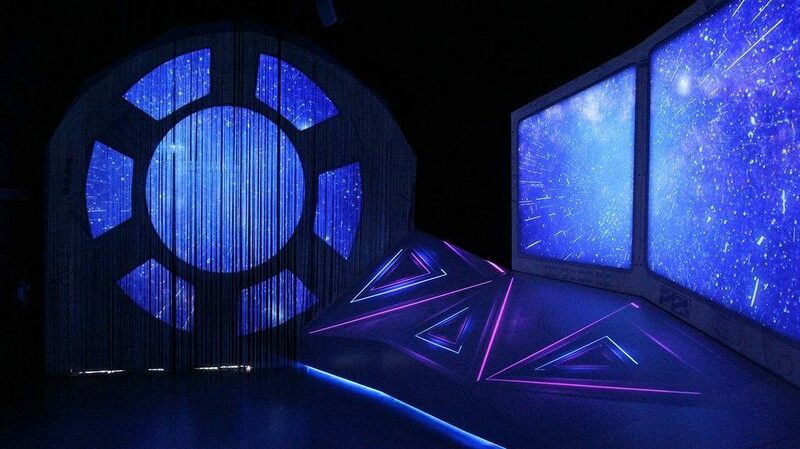 It is an ark of time projected towards the future because the experience of the oases and the ecological re-conversion of the city of Al Ain enclose the knowledge for life in the extreme spaces of the other planets and also for new sustainability projects on earth. Once out of the Ecocenter, the visitor meets the Miniature Oasis, a visit area that is at the same time a didactic experience showing the functioning of the oasis water systems and a playful experience of water games and spaces for children. in Miniature it is the base of a triangle whose vertex is a perspective cone towards the palm grove. 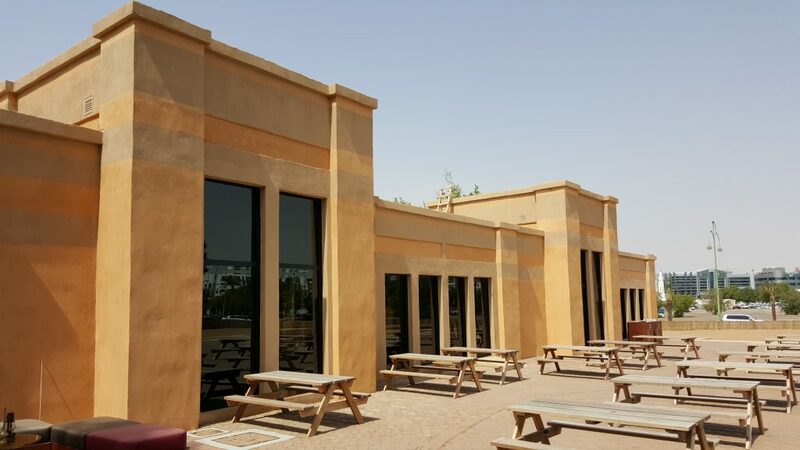 Its sides are constituted by an architecture with traditional forms and classical proportions that host points of sale and restaurants. This architecture incorporates the existing door of the oasis which is thus enhanced as a monumental entrance to the palm grove.